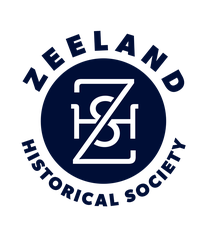 Since its formation in 1974, the Zeeland Historical Society has published a newsletter. Officially called "The Timeline" in February 1976, the newsletter shares the society’s goals and achievements, articles on historical events, and stories submitted by members. The "Timeline" newsletters listed below are located in the Zeeland Museum's research room.